Welcome to spring! We are David and Sheri Burns from Long Lane Honey Bee Farms and honeybeesonline.com. It's finally here. But just a few days after spring arrived we got hit with 6 inches of wet snow! Beekeepers throughout much of the US still have the threat of harsh weather that could cause colonies to perish so please continue feeding your bees. The old paradigm is hurting beekeeping. 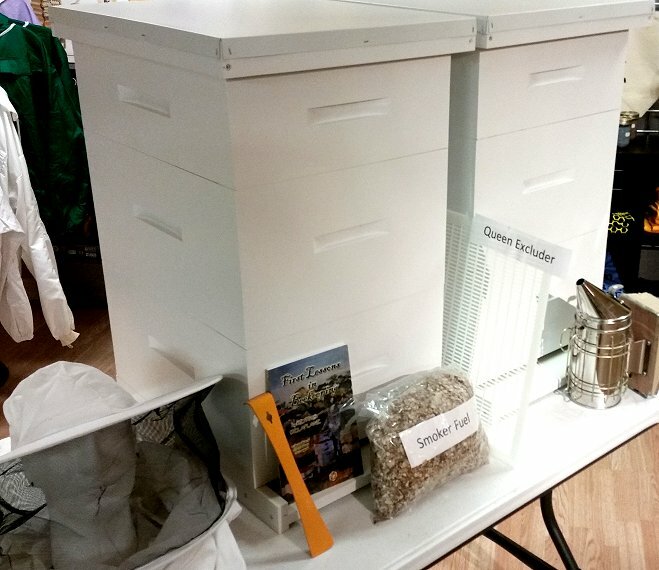 I just returned from home from being the keynote speaker at a beekeeping conference in Wisconsin where I was assigned the task of speaking on bee nutrition. There was an overwhelming response to my presentations. Beekeepers have been reporting huge losses in the winter. We often blame the winter, the bees or pesticides but this is unfair. Most colonies are lost from mistakes beekeepers are making follow the old paradigm of beekeeping. Information is being circulated on how to keep bees that's based on beekeeping practices prior to varroa, viruses and reduced foraging opportunities. It's time to shift this paradigm and stop listening to outdated information. Let me introduce you to the new paradigm of beekeeping based on proven science, not club folklore. Take my ONLINE BASIC BEEKEEPING COURSE and then follow it up with my SPRING MANAGEMENT COURSE. You'll be fascinated over these new concepts in beekeeping. Spring is a crucial time for bees. Brood rearing has increased, requiring much more protein in the hive, but there is very little out there for the bees. We are now selling protein/pollen substitute powder to add to your sugar water. This is something I started doing a few years ago with amazing results. I Started Adding Pollen/Protein Powder To My Sugar Water! AND WOW!!! A few years ago I started adding about 1 teaspoon of pollen substitute powder to my sugar water in the spring and fall, and wow what a difference it made with my hives. Studies show that bees need more than just sugar water. In fact, just sugar water can leave bees lacking the nutritional diet they need, just like a steady diet of cotton candy is not good for us! We now sell the powder I use. Click here to order and start adding it to your sugar water. DO YOU HAVE HIVES READY FOR YOUR SWARMS? Don't wait until you catch a swarm to realize you don't have anywhere to put them. Customers often call with a swarm in a cardboard box asking us to rush ship a hive. Be proactive and have your equipment ready. Your overwintered colonies will likely swarm as soon as the weather turns nice. Why not be ready to catch your swarm and keep it rather than watch if fly off into the horizon, cutting down on your bee population and honey crop. Our Spring Feeding System can help you feed your bees the needed nutrition they desperately need in the spring. David teaches this and many other techniques in his ONLINE SPRING MANAGEMENT COURSE. Be sure you know how to control swarming, catch a swarm, split your hives etc. Sign Up Today! "Hi, I'm David Burns and I've spent the last decade discovering what is best for bees in the spring, the most crucial time for your beehive. I'd love to teach you what I know in my online Spring Management course! Don't make tragic mistakes like I did when I first started out. Learn from the comfort of your home, studying on your own time ,when it is convenient for you. What are you waiting for?" Let's face it. You go to a beekeeping club meeting and listen to what everyone is saying and you hear a plethora of various opinions. Usually, the strongest personality wins. Whoever is the loudest, rudest or has the more dominating personality convinces the crowd. Beekeepers are gullible so they buy in to the person who seems to know what they are talking about. Yet, you go home after the meeting and start your own research and you find opposite views. Ask one question to 10 beekeepers and you get 11 answers, right? Not all of those 11 answers are wrong. This phenomenon worsens when newbies begins doing what experienced or commercial beekeepers recommend without the knowledge of how to do it. Let's face it, you are confused. Oxalic or formic? Crystals or dribble? Oxalic and glycerin on shop towels? Langstroth hive? Flow hive? Warre? Top bar? Plastic frames or real bees wax frames? Treat once in the spring and once in the fall? Many people have joined my BeeTeam6 coaching program because they need ONE VOICE! Most colonies are lost from mistakes beekeepers are making follow the old paradigm of beekeeping. Information is being circulated on how to keep bees that's based on beekeeping prior to varroa, viruses and reduced foraging opportunities! It's time to shift this paradigm and stop listening to wrong information. Let me introduce you to the new paradigm of beekeeping based on proven science, not club chatter folklore. I'm glad you are keeping bees or thinking about it. Thank you for supporting our family business for all your beekeeping needs. If you are new to beekeeping or starting out in the spring, please take my ONLINE BASIC BEEKEEPING COURSE. Start with a good foundation! Spring Is ONLY 15 Days Away! Are You Ready?? We are David and Sheri Burns from Long Lane Honey Bee Farms and Honeybeesonline.com. Spring is only 15 days away. Being prepare is essential. Do not be caught off guard. If you are not an experienced beekeeper I strongly recommend you take our Online Spring Management Course. David has taught beekeeping courses for over a decade and is an EAS Certified Master Beekeeper. -How soon to inspect after winter? -Replenishing the bee yard with more packages vs nucs? -Is it okay to reuse old comb from a hive that perished? You've worked hard to help your bees make it through the winter. Don't mess things up in the spring! Click here to sign up today. Our online course means, no traveling expeses. Enjoy the course from the comfort of your own home. No juggling of schedules. Study the lessons/videos at your own pace when you want. And, receive 1 month of free mentoring/coaching through our BeeTeam6 program with EAS Certified Master Beekeeper, David Burns. You'll have 30 days to email David about any questions you might have. You will receive a certificate of completion once you complete the course. 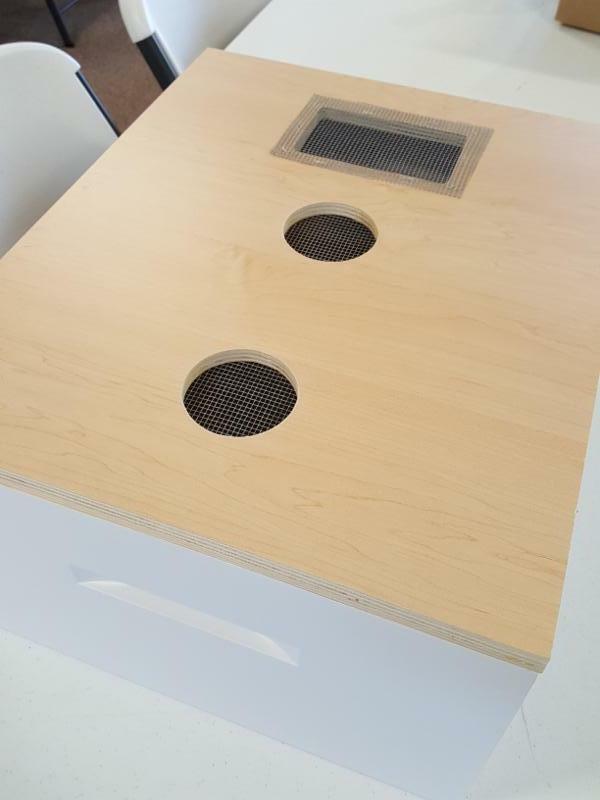 Having a 5 frame nuc to support your hive is a great help. This spring, you can take a few frames of brood and resources from a strong, overwintered colony and build up a 5 frame nuc. Use it to have resources to share with your large colony later in the season if needed. For example, if you lose your queen in your strong hive and they fail to replace her, just use the queen from your 5 frame support colony. Or if you need an extra frame of honey or capped brood to strengthen your hive, grab some from your 5 frame support nuc. Plus, this is a fun size to open and show relatives without having to open up a large hive. Order one today. Bees NOT included. Spring is going to bring lots of beekeeping questions to your mind. Why not have David to turn to for all your spring questions? David's Beekeeping Coaching program is known as Beeteam6. David offers a special mentorship/coaching program called BeeTeam6 where you can call, email or text him your concerns or questions about your bees. Plus you receive a regular tip and a instructional beekeeping video. Even if you are not keeping bees yet, this is perfect to help you gain the education you need before you start. Or if you are starting this year, why not have the extra peace of mind by having someone you can consult. Sign Up Now. Thank you for supporting our family beekeeping business. We appreciate being able to help you with all of your beekeeping needs. We are located in east central Illinois between Champaign and Danville, Illinois.